The mother of imprisoned human rights activist Narges Mohammadi has urged Tehran Prosecutor Abbas Jafari Dowlatabadi to allow the ailing political prisoner to go on furlough (temporary leave) so she can visit her ailing father and receive medical treatment. "Why aren't you agreeing to her furlough?" Ozra Bazargan wrote in her letter to Dowlatabadi. "How far will you go in treating my daughter unjustly?" "If you insist on denying furlough to my daughter, at least let your agents bring her to see her worried, sick, old father for just an hour," she added. Bazargan's 85-year-old husband has suffered three major brain seizures in the past year, according to her letter. Mohammadi, 46, has been repeatedly hospitalized since being imprisoned in May 2015, most recently in August 2018. She suffers from a neurological disorder that causes muscular paralysis. The undated letter was published by the Defenders of Human Rights Center, which has been operating in exile since 2009 when it was banned in Iran. Mohammadi was a spokesperson for the center before she was arrested. 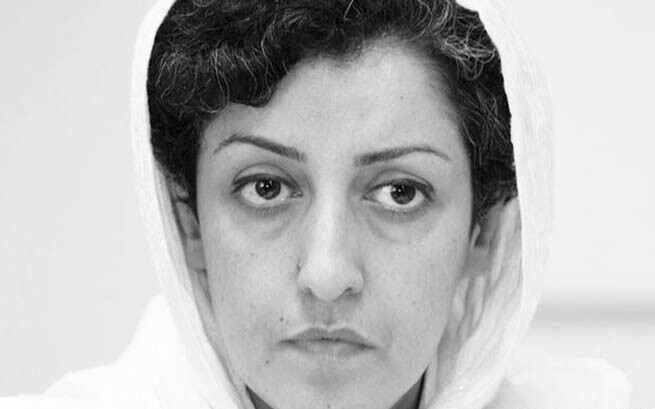 Mohammadi has been serving a 16-year prison sentence for her public advocacy of women's and human rights under the charges of "membership in the [now banned] Defenders of Human Rights Center," "assembly and collusion against national security," and one year for "propaganda against the state." She will be eligible for release after serving 10 years. Since Mohammadi's incarceration in Tehran's Evin Prison, her parents, who live 207 miles away in the city of Zanjan, have only been able to see her four times due to the difficulty of travelling to the prison. She has also not seen her two children and husband, who live in exile in France, for more than two years. "We are both sick and we don't have the strength to go to Tehran to visit our loved one," Bazargan wrote. "I'm tired of fighting against injustice in this country," she added. "I object to the injustice you have brought unto my innocent daughter and I want the authorities who have imposed a heavy sentence on her to at least agree to her furlough," said Mohammadi's mother. Mohammadi was previously incarcerated in 2009 and sentenced to 11 years in prison on charges of "assembly and collusion against national security," "membership in the Defenders of Human Rights Center," and "propaganda against the state." Upon appeal, her sentence was reduced to six years behind bars and she was released in 2013 on medical grounds.